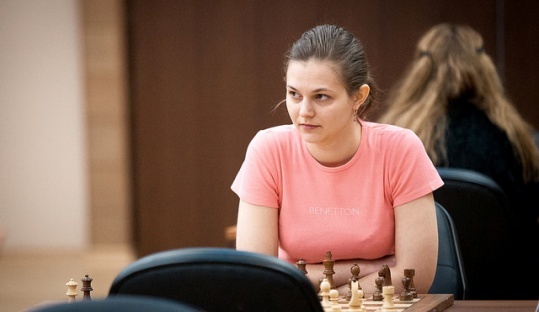 The 2014 Women’s World Blitz Champion GM Anna Muzychuk has decided to return to the Ukrainian Chess Federation after representing Slovenia in the last five Chess Olympiads. The transfer of Muzychuk, currently rated 4th among women with 2561 elo, should compensate for the loss of Women’s World Rapid Champion Kateryna Lagno (2540, world #6) who is moving to the Russian Chess Federation. Among other transfers, IM Mher Hovhannisyan is moving from Armenia to Belgium, while Monaco also added two titled players. As previously reported by Chessdom, WGM Anna Sharevich, a native of Brest, Belarus, is now member of the U.S. Chess Federation.